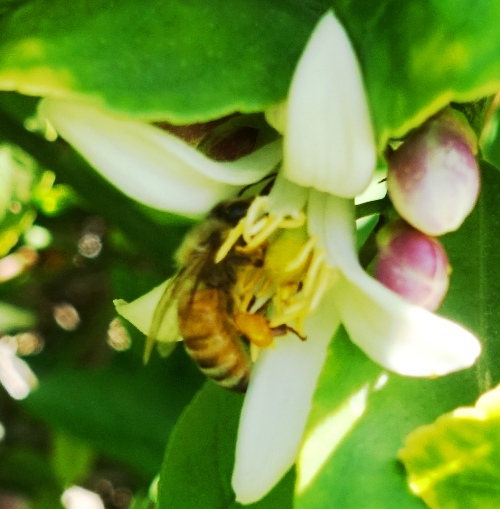 Today I took some pictures of bees collecting pollen. The blossoms in these pictures are all orange blossoms. In this first picture we don’t see any pollen, but it was in interesting picture I just needed to share. Most of these pictures were of blossoms that were inside the tree and were not well illuminated. This one had just a spot of light in the right place. 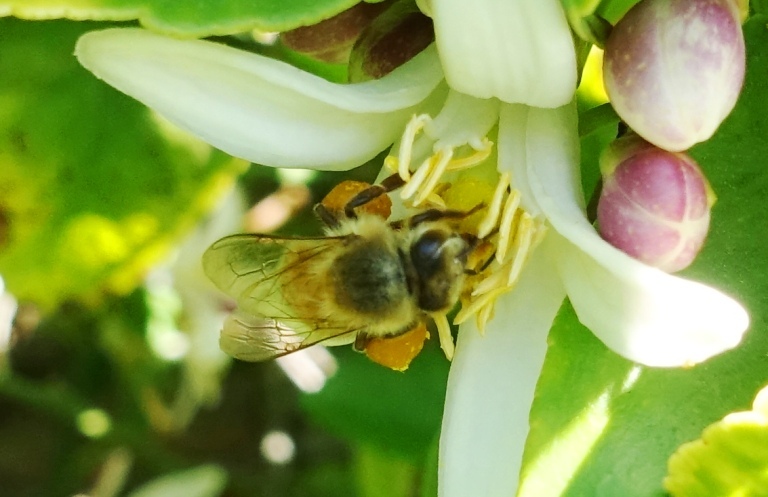 In this picture you can see a pollen basket on the hind leg of the bee. Here the leg of the bee is stretched out and you can see the pollen basket a little better. Here we see pollen baskets on both hind legs. 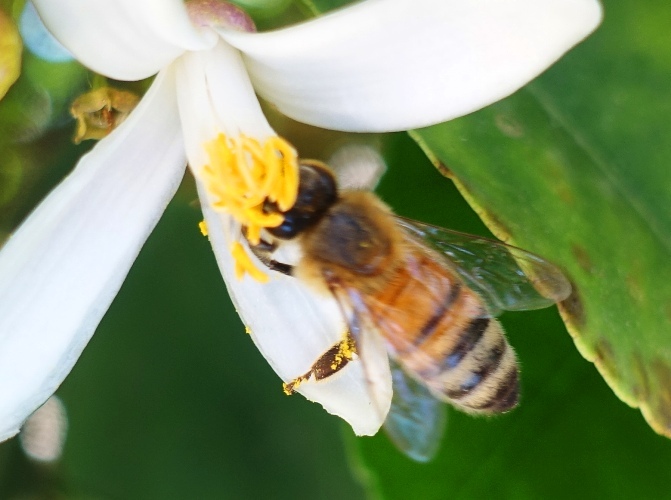 It is amazing how much pollen a single honey bee can carry. In this picture you can see just the beginning of a pollen basket. 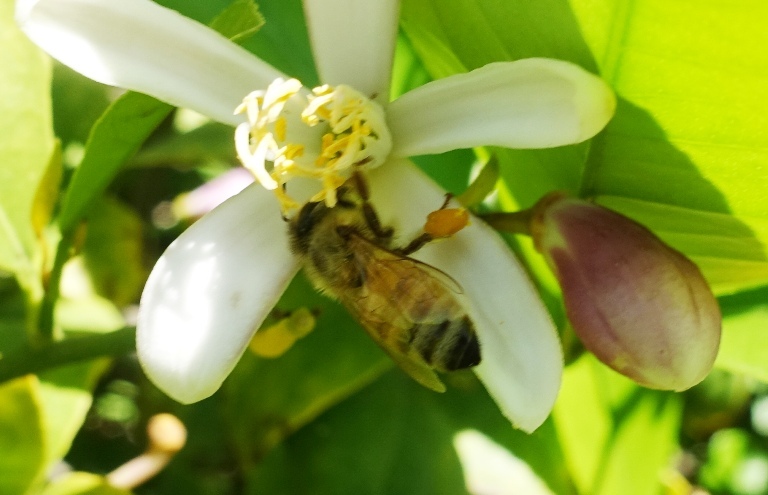 I am thankful for all the pollinators that help take pollen where it needs to go. Without them we would not have all the foods that we eat. 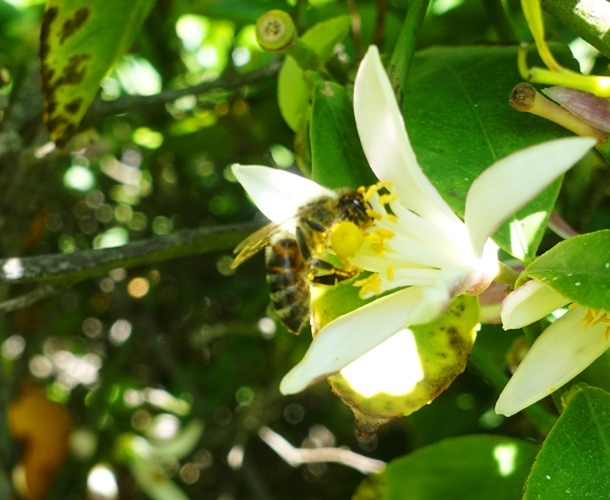 This entry was posted in Animals, California, Flowers, Food, Nature, Seasons and tagged Bees, honey bee, orange tree, Pollen, pollen basket, pollinators. Bookmark the permalink.